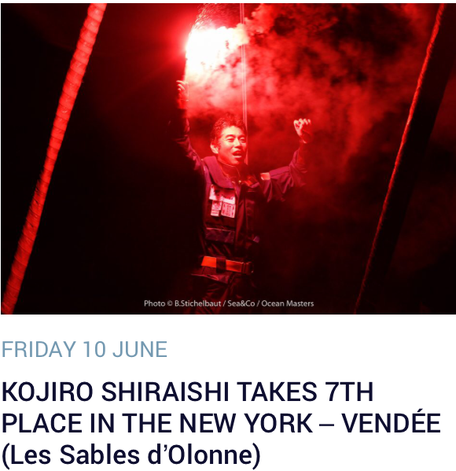 Kojiro Shiraishi's latest message (June 12)after the race finished（June 10) has been translated. 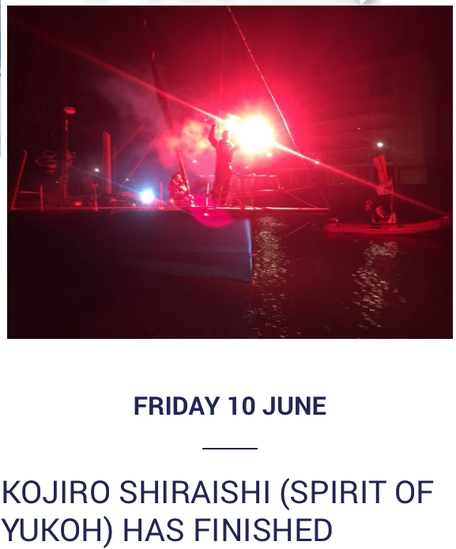 A movie of Kojiro's Spirit of Yukoh finishing on Les Sables d'Olonne port on June 10 midnight is updated. 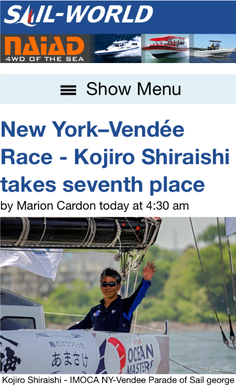 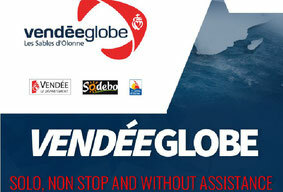 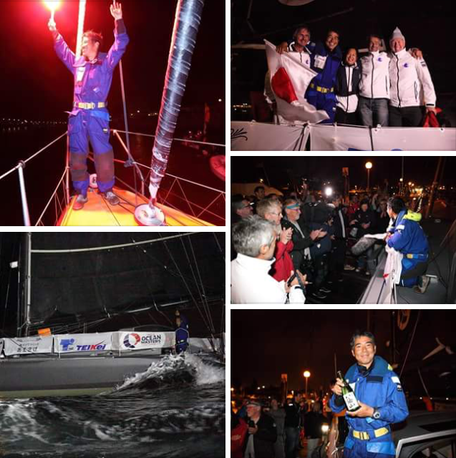 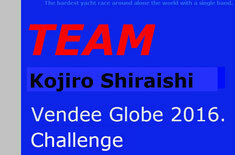 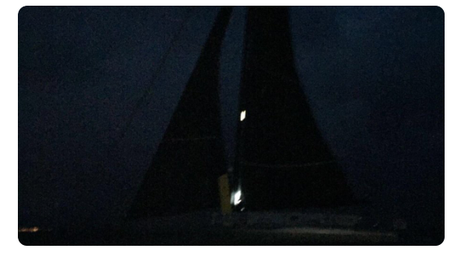 Austrarian Sail-World picked up Kojiro's finish of New York Vendee on June 11's edition. 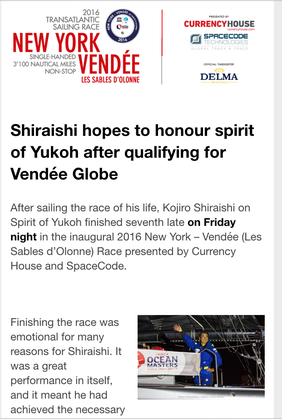 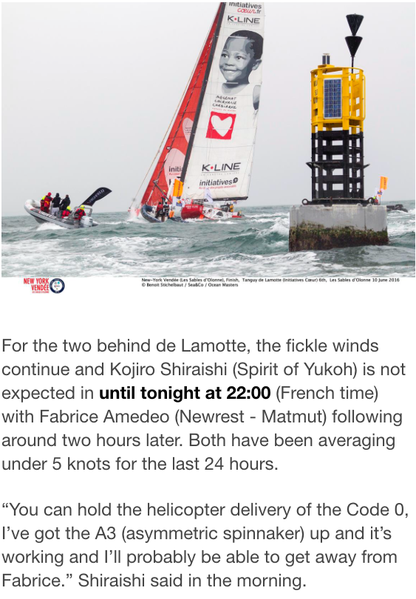 You can see a whole story of New York - Vendee(Les Sables d'Olonee) Race clicking a picture above inclouding Kojiro Photo with a champagne and Japanese flag. 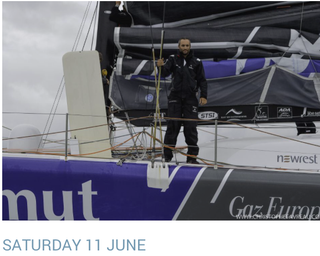 Welcoming scene for 1st &2nd on June 8.